A last rinse with fresh lime juice each time you wash your hair can give great result. Just squeeze a lime into the water and rinse your locks with it. This simple yet super effective remedy can improve the overall health of our hair by restoring the natural oil and moisture content of our scalp. Meanwhile, the acid present in the lime juice can exfoliate the dead cell layer onto the scalp, thereby eliminating dandruff. Put 4 tablespoons of coconut oil over heat and warm it up a little. Add 2 tablespoons of fresh lime juice to it and mix well. Now, massage your scalp with this blend and leave for 15 minutes. Finally, wash it off with a mild shampoo. Following this routine at least thrice a week can help in achieving the ideal pH balance of the scalp and getting rid of dandruff gradually. You can also add 2 tablespoons of castor oil to this mixture for getting better results. Mix 2 tablespoons of lime juice with 2 tablespoons of olive oil. Warm up the mixture a little and use onto your scalp as well as hair. Massage gently with your fingertips and let it go deep into the scalp by leaving for 30 minutes. Then, rinse with fresh cold water. It is one of the best ways to drive away dandruff. The oil extracted from hazelnuts can also be combined with lime juice for removing dandruff. Take each of equal quantity and blend well. Heat it up to some extent. Then, massage your scalp with it in a circular motion for at least 20 minutes. Finally, wash away with a gentle shampoo to get dandruff-free hair. Prepare a blend by mixing 2 tablespoons of apple cider vinegar with 1 tablespoon of lime juice and apply it all over your hair with the help of a cotton ball. It will take almost half an hour to sit in your scalp. After that, wash your hair with a shampoo and condition it properly. If you wish, you can also opt for an overnight application. Doing this at least 3 to 4 days a week can cure your dandruff problem successfully. Including lime juice in your hair pack can also help you ward off dandruff easily. Take 2 tablespoons of Multani mitti or fuller’s earth and add 1 tablespoon of lime juice to it. Create a smooth paste by combining them and use onto your hair weekly. Plain yogurt is another wonderful ingredient that can be added to lime juice for getting rid of dandruff. Make a semi-liquid hair pack by mixing these two things and leave it on your hair for half an hour before rinsing off. You can also add honey or amla extract to this mixture in order to prevent the recurrence of dandruff. 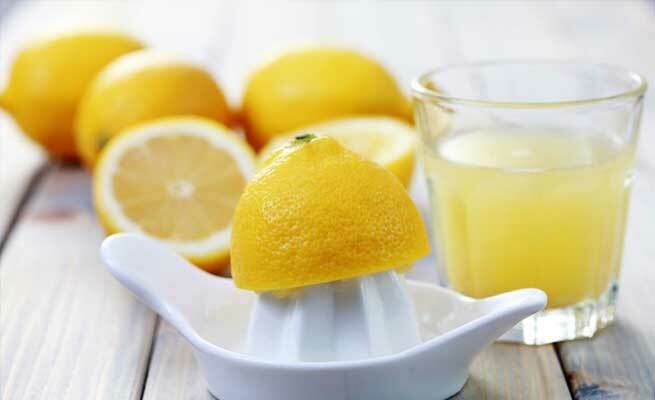 Use any of these lime juice remedies for curing dandruff and get excellent results just within a few days.